This is a 2-disc expanded edition of their second album, “Love An Adventure”, that ‘Funky Town’ originally appeared on. The tracklisting replicates the European / North American version of the album that was released in 1987, but with the addition of 18 bonus tracks. 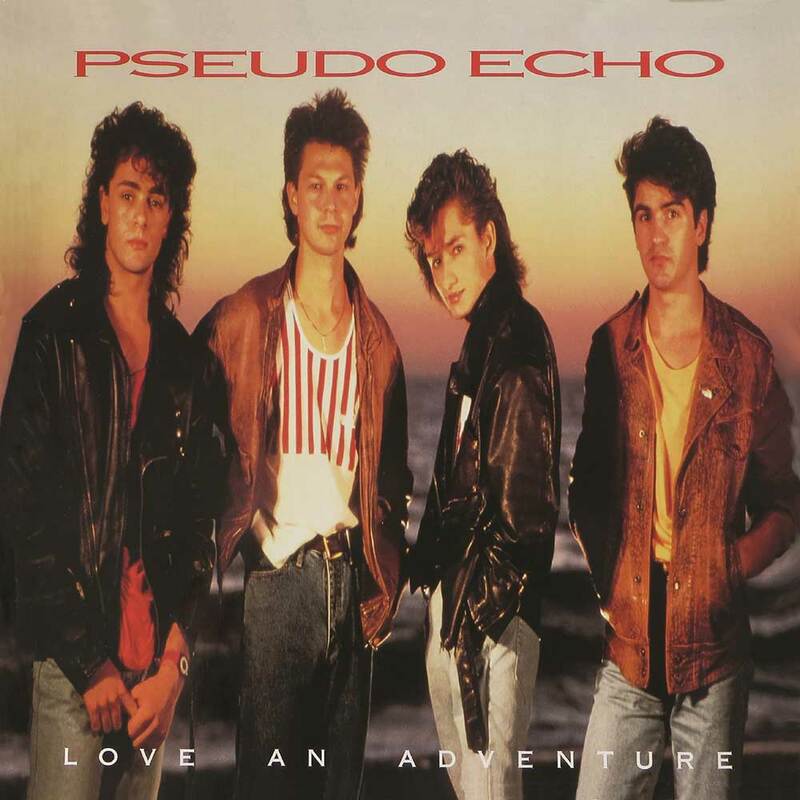 Australian synth-pop band Pseudo Echo formed in 1982 and were influenced by the emergent British New Romantic bands Duran Duran, Spandau Ballet and Ultravox. By 1984, Pseudo Echo were second in popularity in their homeland only to the mighty INXS. According to rock music historian Ian McFarlane, Pseudo Echo “combined flash clothes, blow-wave hairstyles, youthful exuberance and accessible synth-pop to arrive at a winning combination … and found a ready-made audience among teenagers who fawned on the band’s every move”. Their international breakthrough hit was their pop- rock makeover of the Lipps Inc track, the disco classic ‘Funky Town’. This was a worldwide smash hit in 1987 reaching #1 in Australia and Canada, #8 in the UK and #6 on the US Billboard Hot 100! The bonus tracks include the definitive collection of the contemporaneous promotional remixes that were hitherto exclusive to North America as well as the B-sides and 12” versions of the singles that were commercially released from the album in the UK and US.